If the colder weather of Autumn is getting you down- looking at a plant that originated from the warm Caribbean may cheer you up! 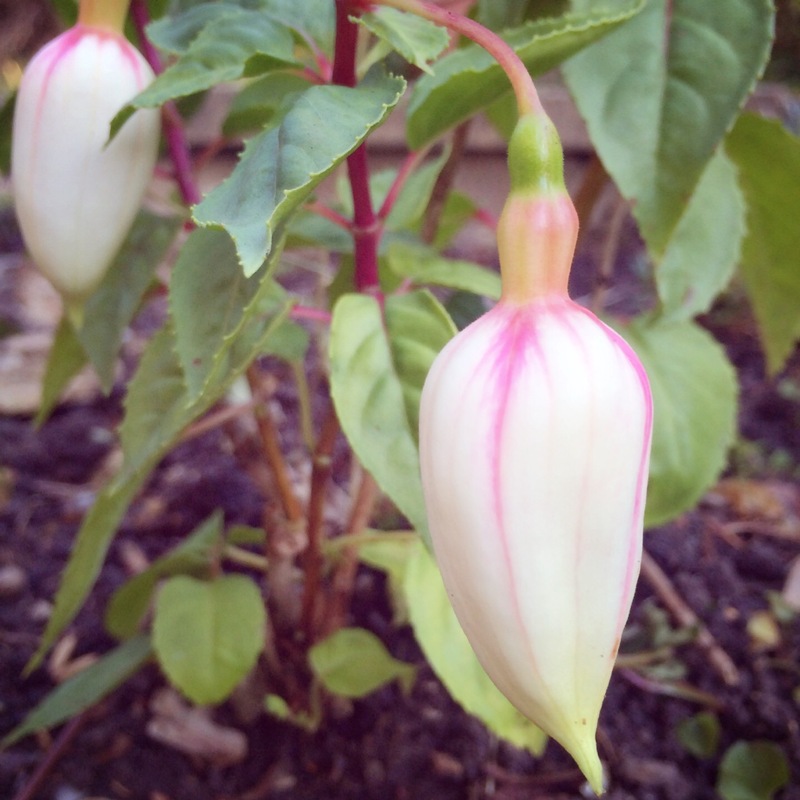 Fuchsias originated from the Caribbean and were bought to England at the end of the 18th Century. 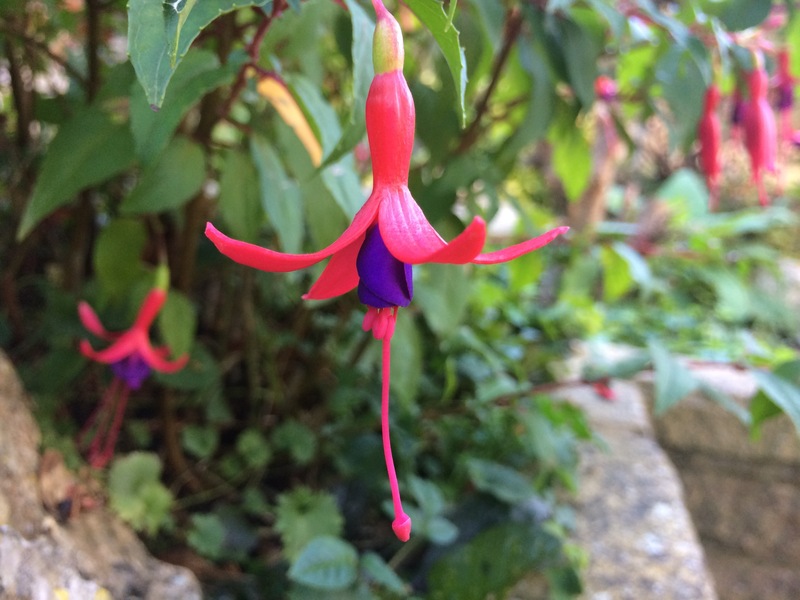 My Fuchsias are used both as a statement piece in my garden and as small ‘dot’ plants around a small garden bed. The variety ‘Mrs Popple’ tends to bloom for several weeks longer than others and is a hardy vigorous plant that can spread quite a bit if you don’t keep it under control – value for your money though! 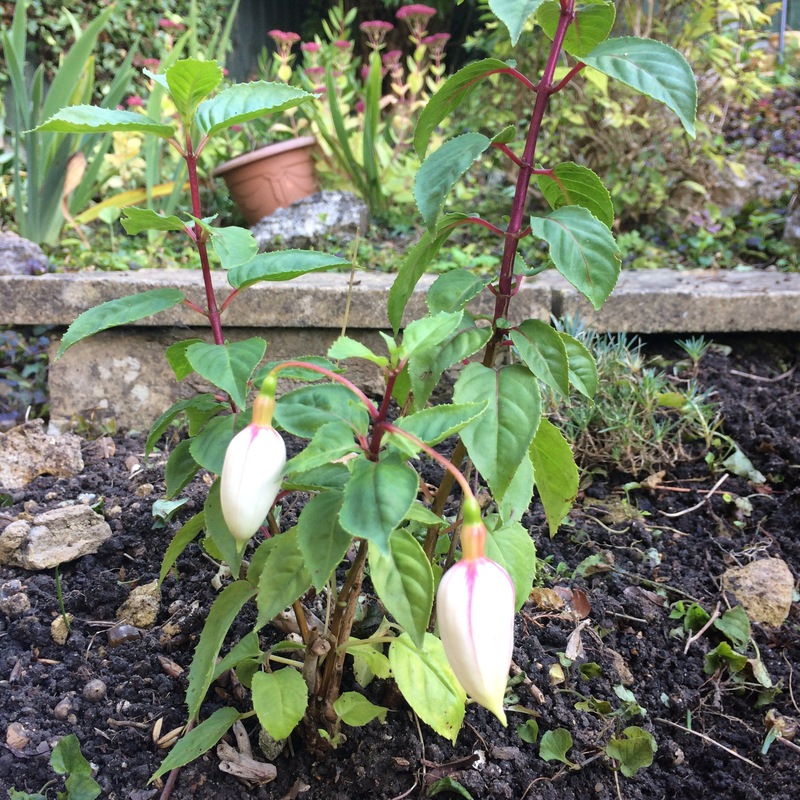 Fuchsia ‘Cascade’ has been used as ‘dot’ plants in a small garden bed. It is has lovely long flowers. I like this variety the best because of the gorgeous creamy colour and larger flower. With a lot of clearing away taking place in my garden, it is nice to see pops of colour from the Fuchsias cheering the place up a bit!